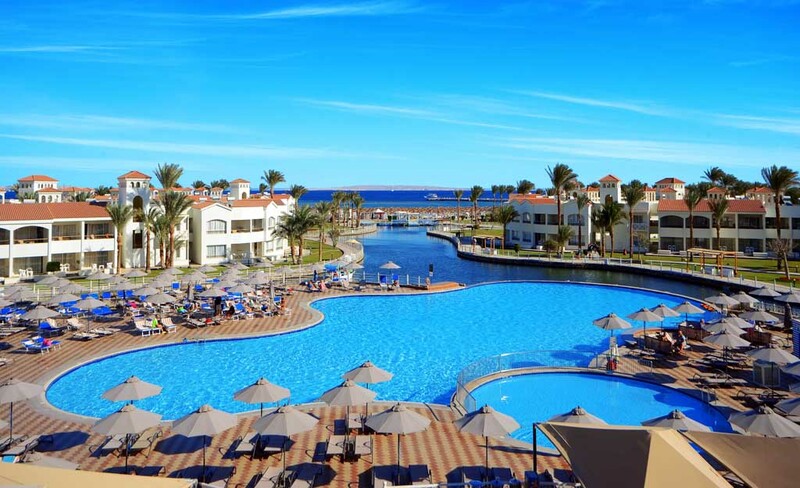 The Dana Beach is a multi-awarded 5 star complex situated in the beautiful place of Hurghada, Egypt. It features 841 elegant rooms designed to offer guests comfort and services. A family oriented hotel that offers tons of facilities like kid's club, aqua park and heated outdoor swimming pool for adults and children that are very ideal for families to enjoy, ensuring an entertaining and pleasurable stay. The hotel consist of Five Restaurants and bars that offers big variety of quality food. The hotel is next to a well-organized paradise like sandy beach. Food CourtLunch Buffet 12:30 hrs - 14:30 hrsSnacks 14:30 hrs - 17:00 hrsIce cream 11:00 hrs - 22:00 hrsCrepes 12:00 hrs - 22:00 hrsBeach BarOpening Hours 10:00 hrs - 18:00 hrsLunch Buffet 12:30 hrs - 14:30 hrsCastello BarOpening Hours 10:00 hrs - 24:00 hrsLive Band (Summer) or DJ	20:00 hrs - 23:00 hrsPool BarOpening Hours 10:00 hrs	- 24:00 hrsShisha 19:00 hrs - 23:00 hrs (extra charge)Columbus CafeOpening Hours 10:00 hrs	- 24:00 hrsPiano Bar (Lobby Bar)Opening HoursAfter Midnight against charge 10:00hrs -24:00hrsJazz BarOpening Hours	10:00 hrs	24:00 hrsBella Bar Opening Hours (Winter) 19:00 hrs - 23:00 hrsLive Band (Winter) or DJ 20:30 hrs - 23:30 hrsDisco 23:30 hrs - 02:00 hrsPlease note:- Summertime from 01.May until 31.October / Winter time from 01 November until 30 AprilAll Inclusive timing is from 10:00 AM until midnight.